The Oliver and Adelaide Tambo Foundation will host the centenary commemoration of the late anti-apartheid stalwart Oliver Reginald Kaizana Tambo, at Wits University on Friday, 27 October 2017. Tambo, one of South Africa’s most renowned leaders, would have celebrated his 100th birthday this year. 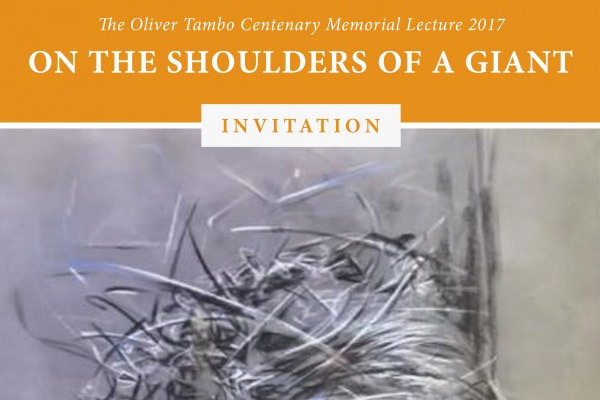 The Oliver Tambo Centenary Memorial Lecture, planned by the Foundation, will celebrate the life of Tambo, who famously said: “It is our responsibility to break down barriers of division and create a country where there will be neither Whites nor Blacks, just South Africans, free and united in diversity” – and lived to make those words a reality before passing away, following a heart attack, on 24 April 1993. Since the beginning of this year, a number of events and activities have taken place celebrating Tambo’s immeasurable contribution to the emancipation of Black South Africans, leading up to the main celebration on his birthday on 27 October 2017. Earlier this month, the South African Mint, a subsidiary of the South African Reserve Bank (SARB), officially launched 3 commemorative coins and the new ZAR5 circulation coin, commemorating 100 years since the birth of Oliver Tambo. “Oliver Tambo was and remains a giant in the history and the shaping of our democratic country. His role and impact on our democracy and values as a country, along with his legacy, will echo for many generations. 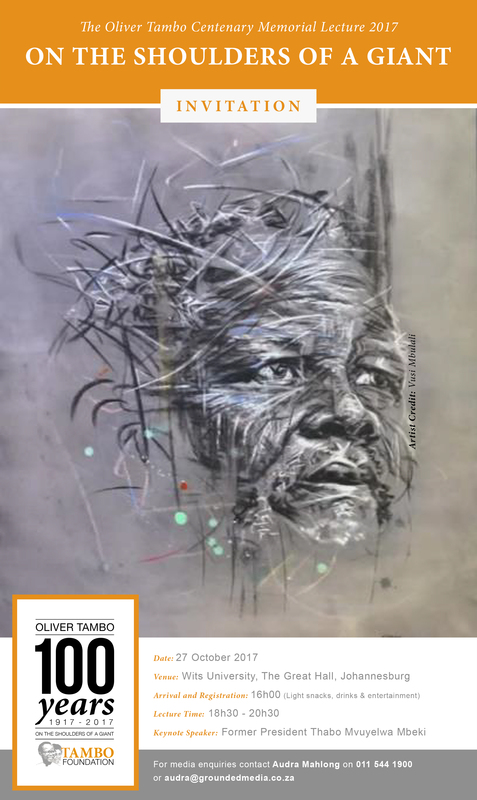 It is only fitting that his name continues to be honoured in this way and mentioned alongside other great sons and daughters of Africa,” says Linda Vilakazi, CEO of the Oliver and Adelaide Tambo Foundation. Born in the rural village of Kantolo, in Bizana, in the Eastern Cape, Tambo had joined the ANC in the 1940s and, alongside A.P. Mda, Nelson Mandela, Walter Sisulu and Anton Lembede, was responsible for the formation of the ANC Youth League in 1944. In 1954, at the age of 37, Tambo was elected to the position of secretary-general of the ANC. He became the deputy president of the ANC in 1957, and assumed the reins of leadership following the passing of Chief Albert Luthuli in 1967. Following the Sharpeville massacre in March 1960, Tambo was instructed by the national leadership of the ANC to leave South Africa and build the ranks of the organisation in exile. With his family in London, Tambo travelled the world, building alliances to establish a foreign mission and escalate the struggle against apartheid to an international audience. He travelled to a number of countries while in exile, including the Tanzania, Zambia, the United Kingdom, China, United States of America, Swaziland, Angola, India, Algeria, Ethiopia, Sweden and many others. “A strong proponent of an inclusive African Nationalism as a force for liberation, he was gentle and generous in style, and thoughtful in manner. A democrat to his core, deeply influenced by his Christian beliefs, a great listener who encouraged everyone to speak out, his leadership was characterised by total integrity”, says Justice Albie Sachs, trustee of the Oliver and Adelaide Tambo Foundation. Tambo and his wife, Adelaide, dedicated the majority of their adult lives to the liberation of South Africa. Their tireless efforts positively impacted the quality of life for all South Africans and left a lasting legacy which will be enjoyed by current and future generations.